84B Extra-Long Horizontal Arm for Universal Stands - 41"
Standard horizontal arms are 27" and give you around 19" of reach from the vertical column. This 41" arm allows for nearly 30" of reach from the vertical column. The 84B comes standard with the SS130 smart stand and is compatible with the SG13 and US03 Feeder Stands that are included with the DC Feeders and the 1HP AF Feeders. 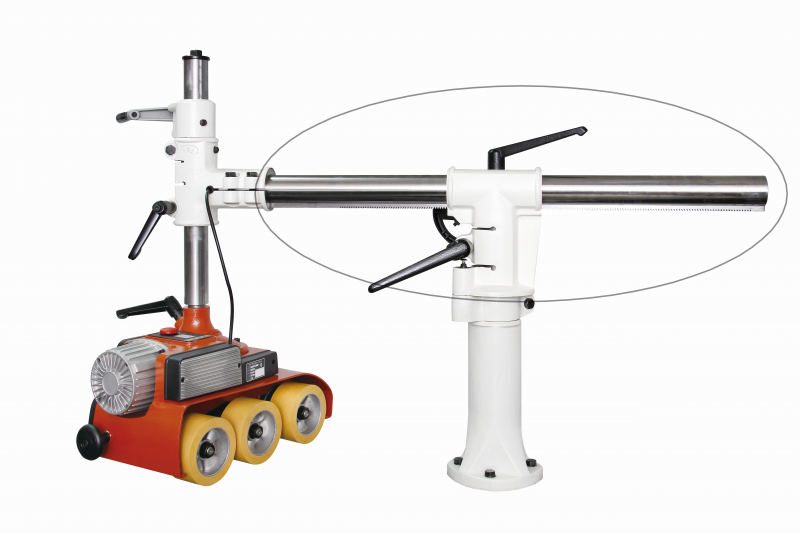 Commonly used on combination machines, table saws, and large shapers where extra reach is necessary. *Feeder and Stand in picture not included.